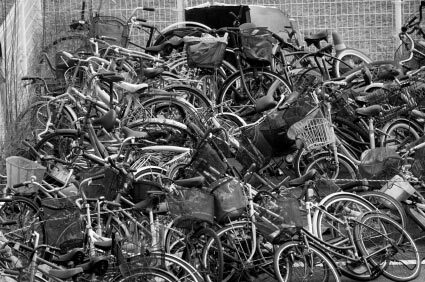 In the interest of keeping good, usuable items out of the landfill and in the hands, of people who will give them a happy home, we will gladly accept unneeded and unwanted bikes and parts. Rest assured, your donation will find its way into the possession of someone who will truly enjoy it. As a non-profit organization, we greatly appreciate the donation of any unwanted items as it supports our mandate of reuse, helps us make these refurbished items available at reasonable cost to community members, which in turn supports our continued operations and the ability to provide community building services. We do not buy or trade bikes or parts. When making a donation, we ask that it be given with no expectation that compensation will be given. Any kind of bike-related donations are accepted regardless of the state the item is in. If you have an item you would like to receive compensation for, you can sell it on consignment in the shop. Feel free to drop by any time during our business hours with your donation.